Who knew? My neighbor had it all along. I've been looking for an antique sewing machine with a cast iron base for months now. Not a pretty one. One that needed some work. I happened to stop by a small, local flea market a couple weeks back and there it was, in the back of a trailer. 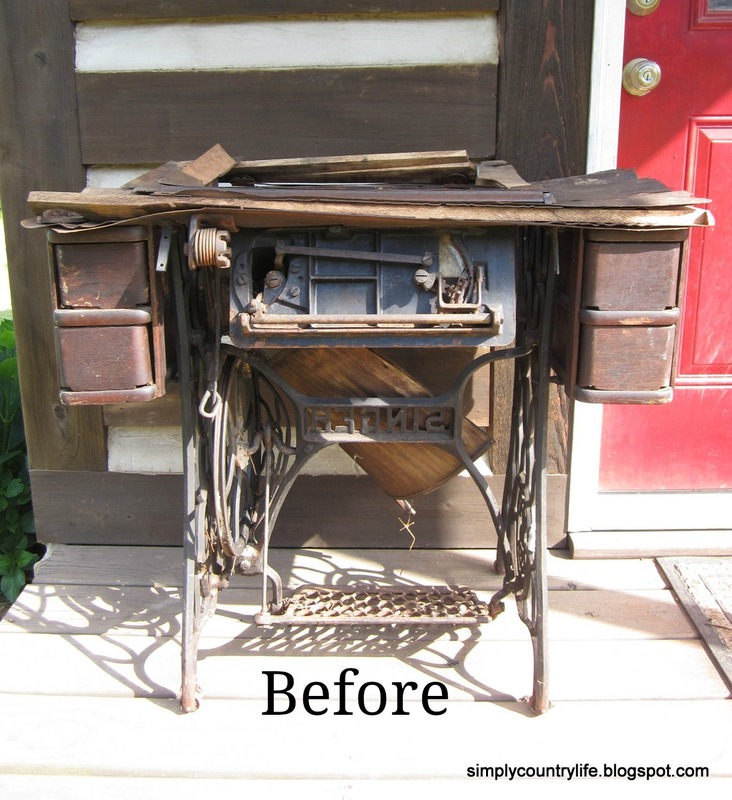 Here she is after her makeover. I started her makeover by removing everything from the base. and a lot of thread that was wrapped around the wheels. I painted it with a fresh coat of black primer and paint. to make a new table top for it. My husband actually made the top. glued them long edge to long edge, then worked his magic on it. and has been blessed with a talent when it comes to working with wood. you can visit his website here or his facebook page here. I call him the wood whisperer. I love the dark grain in the walnut and how it works with the black base. Lastly, we attached the new top to the base. but I do not have room for her, so if you love her too, she's available here. that I can do something with! I have a few projects in mind for the drawers. Any suggestions for the sewing machine? Awe, thank you so much Debbie!!! So pretty, Adina!!!!!!!!!! I love the top too :-) I hope you are enjoying your Summer! I just got 2 machines recently.... 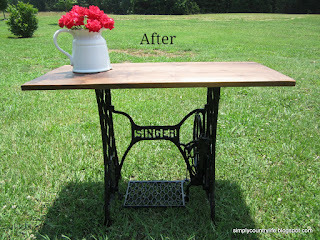 I have done a table in the past, and a vanity. I think it's time to do another table. 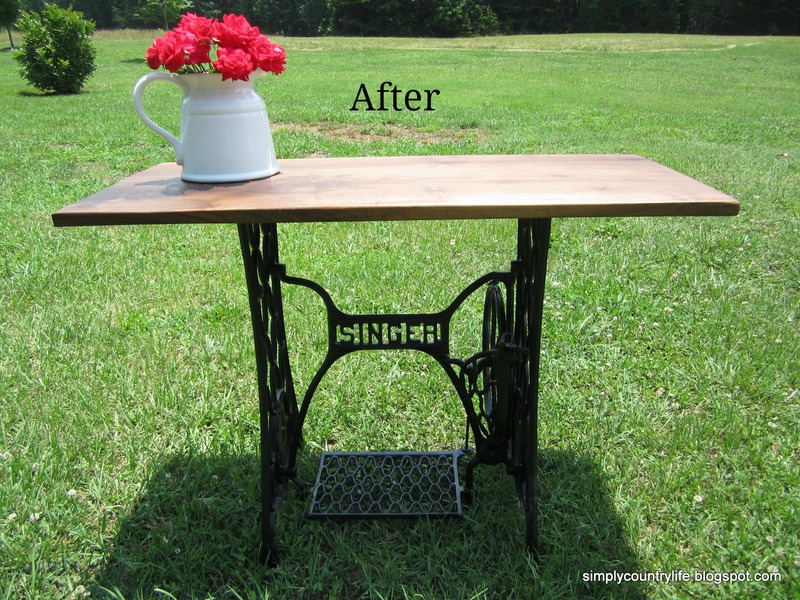 YOUR singer sewing machine repurposed into a table is fabulous. Love that table top! Great job by the hubs! He did do a great job! I love the one you made into a vanity! Thank you Gail.